If you’ve never visited The Pool House, then you’ve been missing out on a truly great experience. This rooftop gem offers the experience of a luxury getaway right in the center of San Diego’s bustling Gaslamp District. To help ensure that your visit is perfect in every way, we’ve assembled some insider tips to help make your visit memorable. These eight tips will help you enjoy the best day ever at The Pool House! Decide what type of experience you’d like to have. To make the most of your visit to The Pool House, take a few moments to consider what type of experience you’d like to have. Are you looking for a leisurely lunch and some low key sunbathing? Or do you want to want to live it up while the sun goes down on our spectacular rooftop? Determining what type of experience you’d like to have at The Pool House is a great way to decide when to plan your visit. Make a reservation in advance. The Pool House is a destination for tourists as well as a popular meeting place for locals. This means it can become pretty bustling! To make sure that you don’t have to wait in line, be sure to make a reservation in advance. While reservations are not required for entry, they are strongly suggested, particularly on the weekends, to ensure that you don’t have to wait for food or fun! The Pool House takes advance reservations for dining for both lunch and dinner. The hours for these offerings are as follows. Lunch is offered Monday through Friday, from 11am-5pm; dinner is offered from 5pm-10pm Monday through Saturday; Happy Hour is offered Monday through Friday, 5-7pm; and our incredibly popular Pool House Sundays (reservations highly recommended) take place between 1pm-8pm every Sunday. Take advantage of our daybed/cabana service. To really make the most of your day at The Pool House, treat yourself like a VIP and take advantage of our daybed and cabana service. We refer to this as “the ultimate VIP experience,” and with good reason. 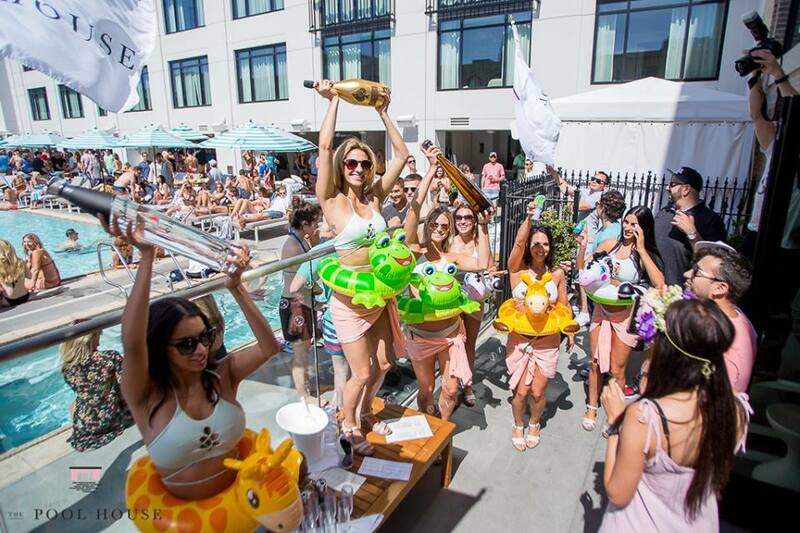 The service includes quick and easy entry to the venue for you and your entire group; you’ll be whisked directly to your own daybed or cabana, where you’ll enjoy private wait-service, bussing service, and a security staff. 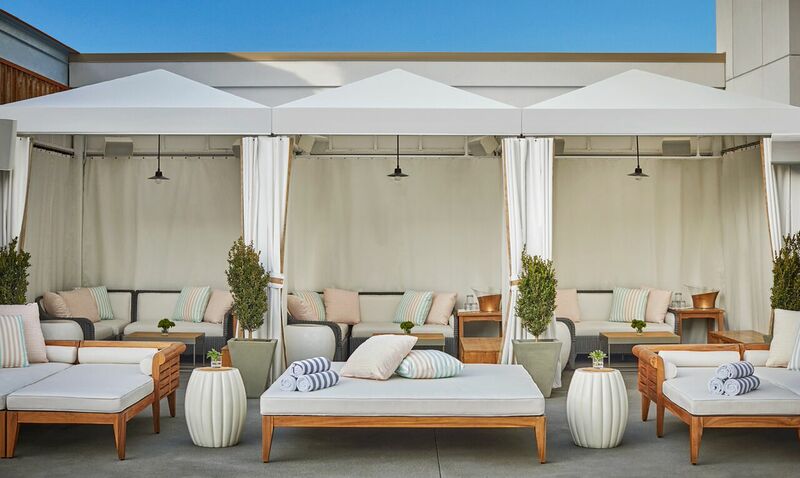 Purchasing our daybed or cabana service includes entry into the venue, so you can relax and just think about what food and beverages you’d like to order and enjoy with your group. Stay updated. There’s always something going on at The Pool House. From live music to new food specials and more, you can stay updated on the latest goings-on by following our website and social media channels. 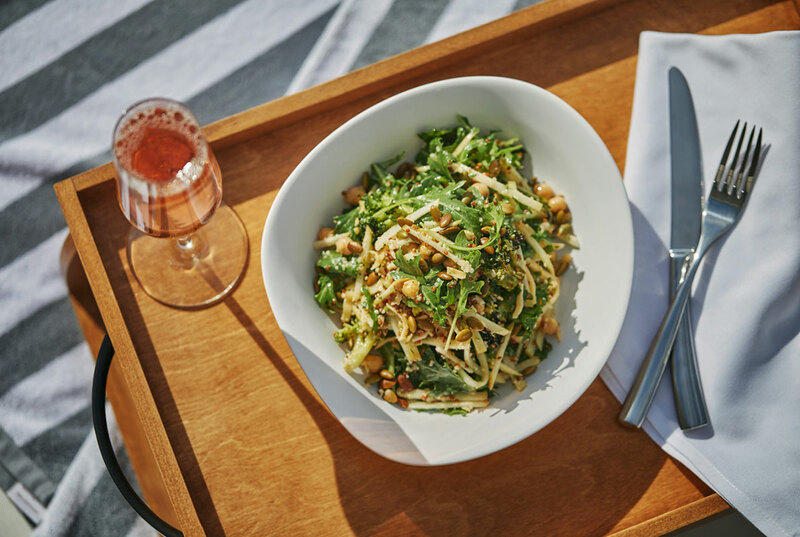 Our website features regular updates about menu offerings, upcoming events, and promotions; our social media channels (Facebook, Twitter, and Instagram) offer day-to-day updates about that latest developments at The Pool House. Familiarize yourself with our menu. Go ahead, give yourself something to dream about in advance of your visit! 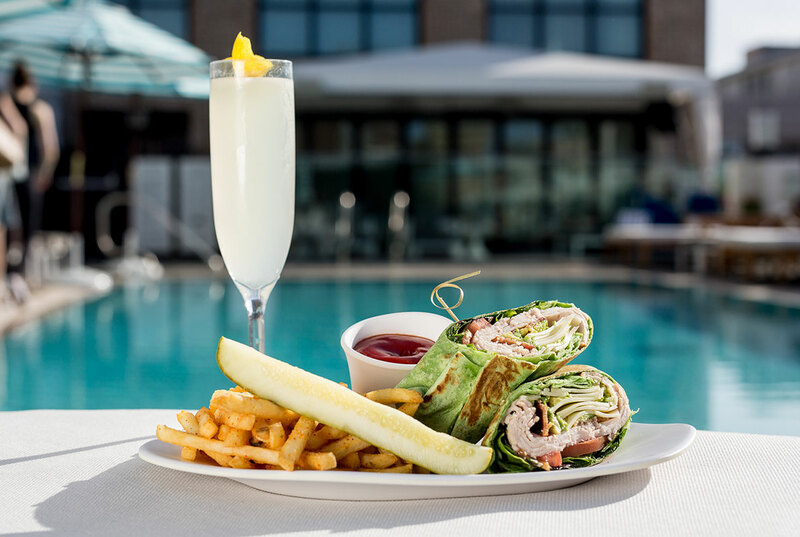 Take a peek at our menu right now so that you can begin to fantasize about what you’d like to order first when you visit The Pool House. 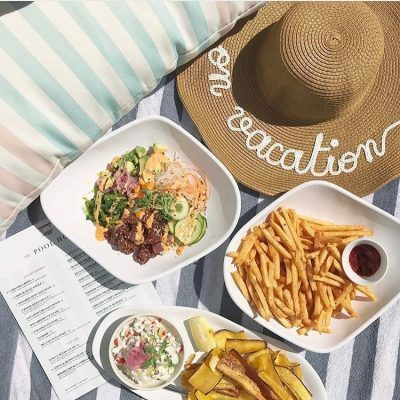 At The Pool House, we take great pride in our menu, which includes creatively prepared California style cuisine with an emphasis on fresh, high quality ingredients. We have plenty of options for every type of diner, from delicious gluten free dining options to classic American favorites like our cheeseburger and fries. Of course, we have plenty of amazing cocktails, too! Try a signature cocktail. Simply existing at The Pool House, with its sweeping views, beautiful people, and amazing pool, is a wonderful thing. But like most life experiences, it’s even better with the perfect cocktail. At The Pool House, we offer an incredible array of creative cocktails to match your every mood and whim. As you peruse our cocktail menu, you’ll notice that we have a carefully curated collection of potables ranging from popular favorites to creative cocktail concoctions unlike anything you’ve ever seen. The menu is divided into separate sections for Refreshers, Mules, Margaritas, Mojitos, and Frozen Drinks, which are all available as stand-alone cocktails or (even better) by the pitcher. Which one will you try first? Clear your calendar. Going to the Pool House is an event to be savored. Make it a day! Or at least clear a few hours in your schedule so that you can enjoy your experience without feeling rushed. Whether you’re savoring lunch with friends or partying on a Friday night or enjoying a Pool House Sunday, one thing’s for certain: you probably won’t want to leave. Be sure to make time in your schedule so that you can truly enjoy a stress-free experience at The Pool House! Bring friends. A sun-soaked adventure at The Pool House is always better with friends. While you may not have time to go on a two-week tropical getaway with your besties, you can definitely make time for a daycation at The Pool House! So round up a few of your favorite people, make a reservation, and let the good times roll. Have an open mind! Don’t be afraid to see and be seen! The Pool House is a social place, so let the day unfold as it will. Make friends, mingle, try some new food and drinks. Adventure awaits you at the Pool House! Armed with these tips, you’re well on your way to enjoying the perfect day at The Pool House! 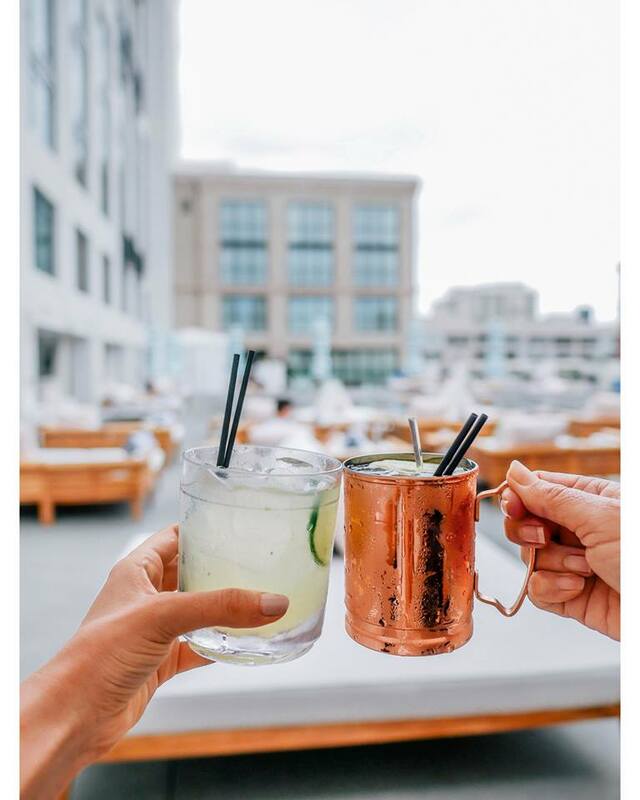 We hope to see you soon on our rooftop getaway in San Diego, where it’s always a beautiful day. Do you have a favorite tip for enjoying The Pool House?